Passages to the Past: new Alison Weir non-fiction book on Mary Boleyn out in October!!!! new Alison Weir non-fiction book on Mary Boleyn out in October!!!! Super excited to find this future non-fiction release by Alison Weir. This time she'll be tackling Mary Boleyn. 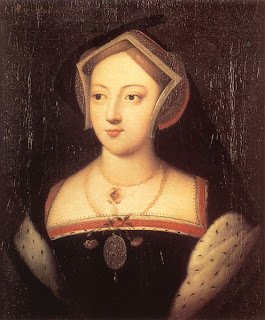 Alison's next biography, Mary Boleyn: The Great and Infamous Whore (Jonathan Cape, UK)/Mary Boleyn: The Mistress of Kings (Ballantine, USA) will be published in the autumn of 2011. The portrait above, right, might, just possibly, be a likeness. court, and her relations with King Francois I.
and complacent nobody, as is often claimed. Stafford and their banishment from court. helped to regard her executed mother in a sympathetic light. said to have lived for the last years of her life. I love Alison Weir's books -- I'm so excited! Oh, I am excited about this one!! This sounds really very good. I hope she does a better job than Wilkinson did - way too much speculation. Which makes me agree with Dollygurl. Although it's not what I write, I love non-fiction. I wish we were getting the UK title here in the US too. Very striking. Now this is one I can't wait for! We know so little about her...I too am intrigued as to where she found all this out. Thanks for sharing, Amy! Sounds like this will be a most enlightening book, about more than just Mary Boleyn. Ooh, glad to know this one is coming out!